The Primate’s World Relief and Development Fund works with a variety of other agencies to fulfill its mission. While PWRDF is an Anglican organization, it works with ecumenical and secular groups as well as other Anglican groups in its work to help bring about a truly healthy, just, and peaceful world. ACT Alliance comprises 143 churches and church-related organizations that work together in humanitarian assistance and development. Through our membership in ACT, PWRDF is able to respond to disasters and relief efforts around the world. 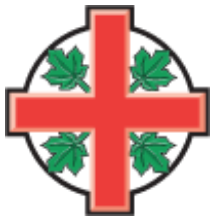 Though PWRDF is an autonomous international development agency, it remains closely linked with the membership, policies and procedures, structures of the Anglican Church of Canada, where the Fund originated. PWRDF participates in national and international church forums, and strives to be an essential part of the outreach and justice ministry of every parish. PWRDF is dedicated to raising its profile within the church, becoming a vital expression of parish life and an essential channel of communication between the Church and wider Canadian society. The Anglican Alliance brings together those in the Anglican family of churches and agencies around the world to work for a world free of poverty and injustice, to be a voice for the voiceless, to reconcile those in conflict, and to safeguard the Earth. Canadian Churches in Action is a coalition of the development and relief agencies for Canadian churches working together with international partners to respond to disasters.CCA Members include: Adventist Development and Relief Agency; Canadian Baptist Ministries; Canadian Lutheran World Relief; Christian Reformed World Relief Committee; Emergency Relief & Development Overseas (Pentecostal Assemblies of Canada); Mennonite Central Committee Canada; Nazarene Compassionate Ministries Canada; Primate’s World Relief and Development Fund (Anglican);Presbyterian World Service & Development; United Church of Canada. The Canadian Council for Refugees (CCR) is a non-profit umbrella organization committed to the rights and protection of refugees in Canada and around the world and to the settlement of refugees and immigrants in Canada. The membership is made up of organizations involved in the settlement, sponsorship and protection of refugees and immigrants. The Council serves the networking, information-exchange and advocacy needs of its membership. The Canadian Foodgrains Bank was established in 1983 as a Canadian-based Christian organization that provides food and development assistance to people in need on behalf of Canadian churches, including PWRDF and The Canadian Catholic Organization for Development and Peace. Today, Canadian Foodgrains Bank is one of the largest private food aid providers in the world. Donations made by Canadians have helped Canadian Foodgrains Bank and its members provide over 1,000,000 metric tonnes of food to people who are hungry throughout the world. The Canadian Ecumenical Anti-Racism Network (CEARN) is an expression of Canadian churches working together to support anti-racism programs and educators who are working in member churches of the Canadian Council of Churches, sharing resources and learning among anti-racism educators, and supporting long-term change in Canadian churches and church organizations. The CEARN Steering Committee is made up of representatives from various Christian denominations, and also benefits from the active participation and leadership of staff from sister ecumenical organizations, the Women’s Inter-Church Council of Canada (WICC) and KAIROS: Canadian Ecumenical Justice Initiatives. The Ecumenical Advocacy Alliance is an international network of churches and church-related organizations committed to campaigning together on common concerns. Current campaigns focus on HIV and AIDS and Food. Imagine Canada is a national charitable organization which supports and strengthens charities and nonprofits by strengthening the sector’s collective voice, acting as a forum and meeting place, and creating an enabling environment in which organizations like PWRDF can contribute to building stronger communities. PWRDF is one of over 400 charities that adhere to Imagine’s Ethical Code. PWRDF is also accredited by Imagine under their Standards Program. The Standards Program awards accreditation to charities and nonprofits that demonstrate compliance in five fundamental areas: board governance; financial accountability and transparency; fundraising; staff management; and volunteer involvement. The goals of the Program are to increase organizational transparency in these areas and to strengthen public confidence in individual organizations and the sector as a whole. In 2001, from a rich global heritage and a hopeful Canadian tradition, Canadian churches and religious organizations formed KAIROS: Canadian Ecumenical Justice Initiatives. A faithful and decisive response to God’s call for respect for the earth and justice for its people, KAIROS is dedicated to promoting human rights, justice and peace, viable human development, and solidarity. In KAIROS, the churches and religious organizations work together for justice, benefiting from collective discernment in responding wisely and faithfully to the signs of the times. KAIROS is building a strong faith-based movement for justice and peace. Oikocredit is a world-wide ecumenical co-operative society of churches and individuals whose purpose is to mobilize financial resources for further development of poor areas of the world. Oikocredit provides loans for small groups or individuals for whom, in our global economy, credit is often very expensive. These loans finance small projects- a sewing machine to start a new shop, poultry to provide eggs to sell, machinery for processing crops. PWRDF supports the work of the World Council of Churches and has been active as a member of the Heads of Agencies (HOAN) consultative group of donor agencies.